You used to feel confident about your smile. You used to laugh all the time. You used to love to eat. You used to enjoy life. And then you lost your teeth. Teeth do so much for us – they help us chew our food, speak clearly, keep our bones strong and intact, and even help us look younger. Still, it’s pretty easy to take something you have had right there most of your life for granted – until they are gone. Then suddenly you have to deal with dentures or partials, the way they can slip and pinch, the way they cover the roof of your mouth so food doesn’t taste as good, the way they have of coming loose when you least expect it. Then factor in the gooey denture adhesive you have to keep reapplying. And to top it off, you start aging so fast as your bone degenerates and your lips lose their support. But what can you do? What choice do you have? 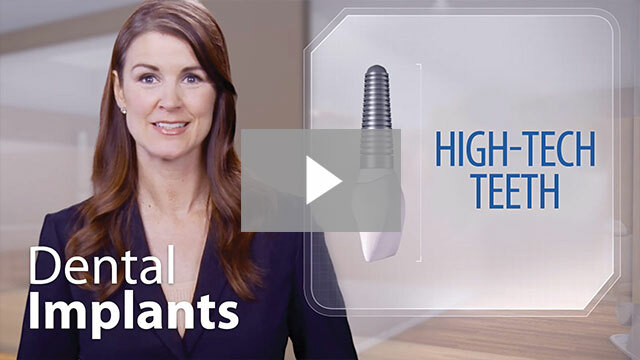 Dental implants from Summit Dental can give you a smile so natural, so well functioning, you might forget it isn’t the smile you used to take for granted! Dental implants are more or less what they sound like – replacement teeth that are implanted into your gum and jawbone. They are generally made up of two parts: a titanium post which is the part surgically placed in your jaw, and a dental prosthetic. These prosthetics are designed to replace just the number of teeth you need to have replaced – either as a single tooth or implant-retained partials and dentures. Implant dentures are so much more comfortable and functional than traditional dentures because, instead of resting on your gums and relying on pressure and adhesive to hold them in place, they are securely snapped on to implant posts. We usually implement the all-on-six method, which means your dentures are securely supported by six dental implants. We always recommend dental implants to our patients. Not only are they more secure and comfortable, they also keep your jaw stimulated the way your own tooth roots did. That means that your bone will be far less likely to shrink and deteriorate the way it will with dentures. 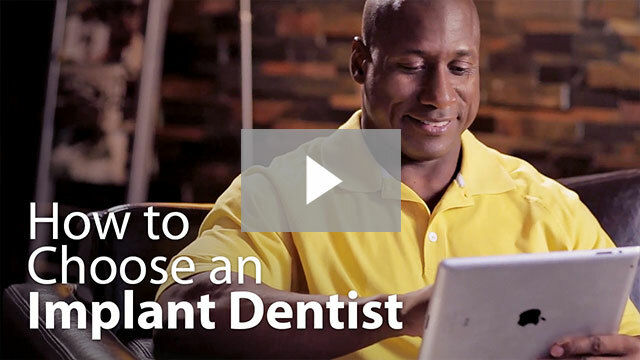 If you are missing teeth and tired of the hassle and discomfort of dentures, or if you know you are going to have to have some teeth extracted, please call Summit Dental and talk to us about whether you are a candidate for dental implants. We’d love to help you start enjoying life again – ASAP!